Land records and maps, some dating back to 1700, are archived in Pune. The Gujarat government is keen on getting back its old land revenue records archived in the Pune Settlement Office. But Maharashtra Settlement Commissioner Chandrakant Dalvi has not received a formal request yet. “We do have records of the Bombay Province as it was called before separation of Gujarat and Maharashtra but we have several records under revenue land records, title and unless we have a specific request, we cannot address the issue,” said Dalvi Thursday. 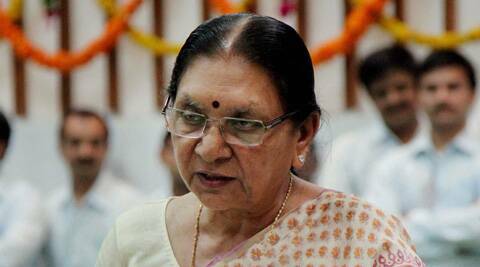 Gujarat Chief Minister Anandi Patel had, at a function in Rajkot, said the state was keen on getting back its old revenue records. The former revenue minister of Gujarat had stated there were some documents related to the revenue department, which were needed. Dalvi said the settlement commissionerate would cooperate once a formal request is made and the state government issues specific orders. The department is carrying out digitisation of land records and pushing for e-governance. “The work is on and even as we do have old maps and records for which digitisation process is on, we want to ensure all records are in place. We should have all the records in place and depending on what they require, we should be able to provide information,” added another official. The land records museum has land records and maps, some of them dating back to 1700, including a road map of Mumbai. The department has 100-year-old maps of peth areas in Pune city and the oldest maps of Peth areas of Mahabaleshwar. The settlement commissionerate has property cards and related land records in their possession for which the process of digitisation is on.